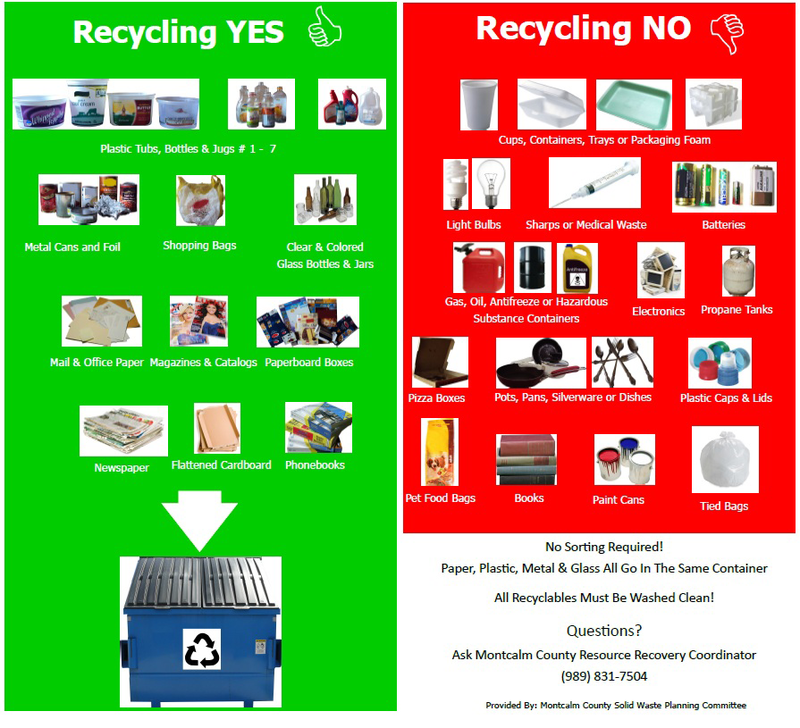 Recycling in Howard City is now available in the NE corner of Leppinks’ grocery store parking lot at 730 W. Shaw Street in Howard City. The unmanned 35×35 fenced area contains 2 twenty-yard capacity with covered roll off containers. The site will be open 24 hours a day for convenient access. Products will NOT need to be separated to use this site! For any questions call Resource Recovery Coordinator at 989-831-7500. This recycling facility is funded through the Montcalm County Solid Waste Committee. CLICK on the RECYCLE LOGO below!